Founded in 1942, NASBP is the association of and resource for surety bond producers and allied professionals. NASBP producers specialize in providing surety bonds for construction contracts and other purposes to companies and individuals needing the assurance offered by surety bonds. NASBP producers engage in contract and commercial surety production throughout the United States, Puerto Rico, Guam, and a number of countries. They have broad knowledge of the surety marketplace and the business strategies and underwriting differences among surety companies. As trusted advisors, professional surety bond producers act in many key roles to position their clients to meet the underwriting requirements for surety credit. empowering surety professionals with grassroots efforts. NASBP is the association of and resource for surety bond producers. The National Association of Surety Bond Producers (NASBP) had its origin in a meeting of several surety agents who gathered during the summer of 1942 to decide how to respond to a growing practice of waiving bonds on war-related construction projects. The success of the plan devised by this group of bond producers in reversing this trend caused them to recognize the potential of working together for the common good. Why not form a permanent organization, they reasoned, to anticipate and solve industry problems, to develop standards for professional bond producers and to promote understanding and recognition of the value of corporate suretyship among public and private project owners. Thus, in 1942 NASBP was officially established as the national organization to represent the interests and needs of surety agents and brokers. It was not until 1961, however, that a permanent headquarters office for NASBP was established in New York City and an executive secretary hired. Ten years later, when it became clear that actions by the federal government increasingly would impact the use and practice of suretyship, NASBP’s headquarters was moved to Washington, DC. 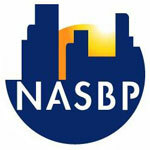 NASBP has grown as a leader in defending and promoting suretyship. Today, NASBP is the recognized voice of surety bond professionals with government and industry.